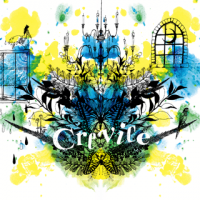 The full version of Rainbow after snow can be found on 猫叉Master's third album, Crevice. Rainbow after snow could be unlocked from February 27th, 2013 to March 3rd, 2014 in beatmania IIDX 20 tricoro/21 SPADA and jubeat saucer as part of the Café de Tran unlock system. It was the first unlockable song for both games. Rainbow after snow marks vocalist Momoko Hayashi's debut in beatmania IIDX and jubeat. She previously provided vocals for WORLD COLOR, VITAMIN POP from pop'n music Sunny Park. In jukebeat, Rainbow after snow's artist was romanized as Nekomata_Master featuring Momoko Hayashi. Rainbow after snow is available in beatmania IIDX INFINITAS as part of the beatmania IIDX INFINITAS 楽曲パック vol.3. beatmania IIDX difficulty level from 1 to 12. This page was last edited on 23 November 2018, at 12:23.